Marvel's third phase of films launched this summer with Captain America: Civil War and continues this November as Doctor Strange makes its way into cinemas. 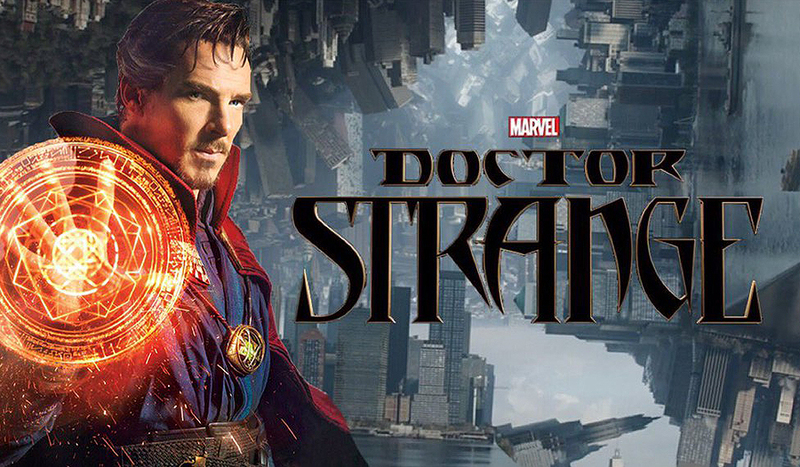 Starring Benedict Cumberbatch as the Sorcerer Supreme, it'll be the first film in the MCU to dive into the realms of magic and mysticism. With numerous trailers and images teasing mind-bending visuals that are unlike anything fans have seen in this franchise before. The footage and overall set up of the trailer are recycled from earlier clips, in which the Ancient One explains to Strange that the world he currently lives in is just one possible reality of many. Since this preview is geared specifically towards IMAX, it’s no surprise that the set pieces receive the majority of the screen time, with collapsing buildings and spells popping out for all to see. It remains to be seen how Doctor Strange bucks the traditional Marvel origin story formula! The dialogue's interesting. The character Wong highlights one connection to the larger series of films, stating the primary difference between the kinds of threats the Avengers face and the mystical ones that they square up to. I just hope the paying public take to this character and give the film a chance, as I'm sure not many have heard of Dr. Strange, but then again very few had heard of 'ANTMAN' and look how well that was received! But to be fair, the big bonus here is that Strange is played by the favourite Benedict Cumberbatch and everyone knows of his Sherlock Holmes!